Every year around the holidays Dr Michael Lange and the Lange Family throw a big party at The Lange Eye Institute to thank his wonderful staff and patients. These events have many frame vendors, wellness doctors, plastic surgeons ,eye docs, hearing specialists, contact lens companies , blood labs , vitamin companies and organic whole food coampanies discussing the very latest in health and well being. Always a lot of food, drink and music to help celebrate the holidays. This year, Dr John Poser(plastic surgeon) Michael Moore (Hearing specialist), Dr Michael Joseph and Dr Brad Chapman (hemocode), Paleo Simplified , Fortifeye Vitamins , Bausch & Lomb, Pam Jantomaso (Clear Vision), Michael Coffey (Tom Ford), Marge Felix Events(catering), Stacey , Mike and Bryce (Marcolin) and the entire team at The Lange Eye Institute made this years Christmas Extravaganza one to remember! People drove from 100s of miles away to get huge savings on everything and to share in our festive holiday spirit. We had 20 winners in our free give away contest. We also had a lot of giving people donate to the toys for tots campaign we ran this year. Dr Michael Lange brought his race car called Doc Voodoo to the event and it also generated quite a bit of interest. This was a great way to bring a great year to a closing. The Lange family and The Lange Eye Institute wants to wish everyone a very Merry Christmas and a Happy New Year ! Dr. Michael Lange in front of The Lange Eye Insitute in The Villages. Every year Dr Michael Lange and The Lange Eye Institute throw a big party for all of their patients and people that live in the area. This year the theme will be a Christmas Extravaganza on December 16 from 11am to 3 pm. There will be music, food, lots of raffles and free prizes too. Many designer frame companies, sunglasses companies. Fortifeye Vitamins, Paleo Simplified, Hemocode food sensitivity testing, contact lens companies , hearing specialist , natrapathic physician and many more will set up booths at The Lange Eye Institute. The staff will be giving large discounts on eyewear and nutritional supplemnts. Many of the staff and doctors in The institute will also be at the event. Dr Michael Lange will arrive at noon and stay till 3 to answer any questions on eye care and nutrition . Come on out and join in the Christmas celebration . Everyone is invited , the Lange Eye Institute is located in The Villages on the corner of CR 101 and 466 next door to CVS and across the street from Publix. Phone 352 753 4014. 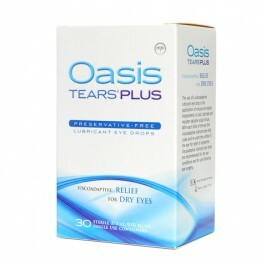 Dr Michael Lange has been using natural dry eye treatments for over 25 years successfully with his patients. He very rarely has to use any medications since the natural approach works so well. The approach consists of cleaning the lids, heating the lids, lubricating the eyes and nutrification of the meibomain glands. Cleaning the lids is accomplished by using a simple diluted solution of baby shampoo and lather up the lids once a day at bed time. This is an inexpensive option for cleaning the lids however not the best option. 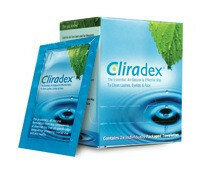 A better option for cleaning and killing potential Demodex mites would be to use Cliradex foam or wipes before bed. Dr Lange’s first choice for proper lid hygiene is Cliradex. Heating the lids can be accomplished with a warm wash cloth as a simple inexpensive option or using a Bruder Mask as a better option. Heating of the lids will help open up the meibomian glands to secrete a healthy tear layer. Lubricating, Dr Michael Lange likes two preservative free lubricating eye drops that both contain small amounts of hyluaranic acid. 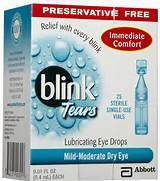 Dr Lange likes Oasis tears Plus the best and his second choice for dry eye lubrication is Blink Preservative Free drops. Nutrification of the meibomian glands is the final step in Natural dry eye treatment. Dr Michael Lange has developed a concentrated Triglyceride form omega 3 fish oil called Fortifeye Super Omega. Dr Lange has done multiple omega index studies to help determine how much of this omega 3 a person needs to gain the health benefits. In omega index studies utilizing Fortifeye Super Omega patients under 250 lbs had an omega index between 9.2-11 while taking 1600 mg of Fortifeye Super Omega ( two capusles daily) . A therapeutic heart healthy level on omega index is anything above an 8. When patients follow this natural dry eye treatment protocol a good percentage will respond with improved dry eye signs and symptoms. 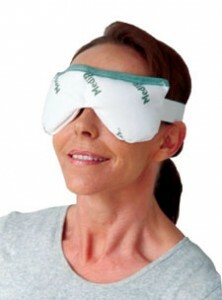 go to www.fortifeye.com to learn more about these items and /or purchase. Dr Michael Lange is now at the Lange Eye Institute full time. Dr. Michael Lange in front of The Lange Eye Institute in The Villages. Dr Michael Lange started Lange Eye Care and Associates on March 15 1993 in Ocala Florida. Dr Lange states “I was at the right place at the right time”. Right out of school he did a demographic study and found that Marion County was the fastest growing geriatric community in the country in 1990 and was under served in the eye care area. Dr Lange worked 18 hrs a day 7 days a week for the first 20 years building Lange Eye Care and Associates. He opened 14 Lange Eye Care locations in Gainesville, University of Florida, Panama City, Williston, Inverness, Citrus Hills, West Ocala, Ocala, Downtown Ocala, Summerfield, The Villages, Tampa and 2 locations in Clearwater. His syndicated radio show, ” ask the dr” was the spark that ignited his fast expansion. He has been hosting this radio show on multiple radio networks and live video streaming around the world non stop since April 1993. In April of 2016 Dr Michael Lange decided to sell all of his Lange Eye Care locations to one large corporation and retain ownership of his flagship eye care center The Lange Eye Institute in The Villages Florida. Dr Lange is an optometric physician as well as a Certified Nutrition Specialist, this sets him apart from the majority of eye care providers in the country. Dr Lange and The Lange Eye Institute have the latest in nutritional, optical, surgical and medical eye care all under one roof. Patients come to The Lange Eye Institute from all over the country for this broad range of eye care options with a heavy emphasis on Nutritional and Natural Eye Care. Dr Michael Lange states “we use diet, high quality nutritional supplements, lifestyle adjustments and education to complement our traditional medical and surgical approaches at The Lange Eye Institute. The Lange Eye Institute also has top-notch hearing specialist, podiatry , dentistry, retina , plastic Surgery, oculoplastics, naturapathy, blood lab, acupuncture and much more. 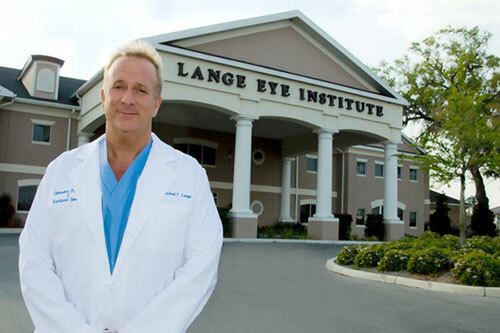 Dr Michael Lange is available for patients Monday-Friday only at The Lange Eye Institute in The Villages Florida. This location is centrally located with easy access right off of I-75 and a short drive from anywhere in Florida. 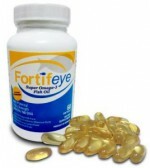 Learn more about the nutritional research and Vitamin Company founded by Dr Lange at http://www.fortifeye.com Learn more about Dr Lange at http://www.drmichaellange.com The Lange Eye Institute phone number is 352 753 4014. Dr Michael Lange preaches if you want to look good, feel good and be healthy you must eat right!! When the proper diet is combined with exercise, sleep, hydration and a little sunshine you will be amazed at the positive transformations that can occur in the human body. Dr Lange states ” I have seen amazing positive changes in ocular health and overall health when patients will actually follow some simple guidelines” Dr Michael Lange recommends a modified form of a gluten-free Paleo diet for most of his patients. Most Americans are eating a diet that is calorie dense and nutrient deficient. I want my patients to eat whole unprocessed foods that God put on the planet and not the overly processed fast foods that have become mainstream in today’s society. Many of the mainstream foods we are consuming are filled with synthetic dyes, trans fats, chemicals, preservatives, pesticides, hormones, antibiotics , gmos, artificial sweeteners, added sugar …. just to mention a few of the toxins that are introduced into our bodies daily. This extremely poor toxic diet is one reason we see so much disease in our society. One problem with a diet is the constant hunger that people on diets have and therefore they eat snacks during the day that are filled with empty calories of excess sugar and carbohydrates. Dr Michael Lange is CEO of Paleo Simplified a company that researches and develops Paleo bars and Paleo granola. Their philosophy of “what you eat matters” is catching on all over the country. Many people who are pro active in their health are searching for a healthy snack to eat in between meals , pre and post work out or just something healthy and nutritious when they are on the go. Paleo Simplified energy bars and their Honey Nut Fruit Crunch are gluten-free, whole food, non gmo,soy free, no artificial ingredients and loaded with superfoods. Dr Lange has incorporated Paleo Simplified into The Lange Diet as one of the snack options daily .